If you're hustling in The City That Never Sleeps, you're going to want some coffee. 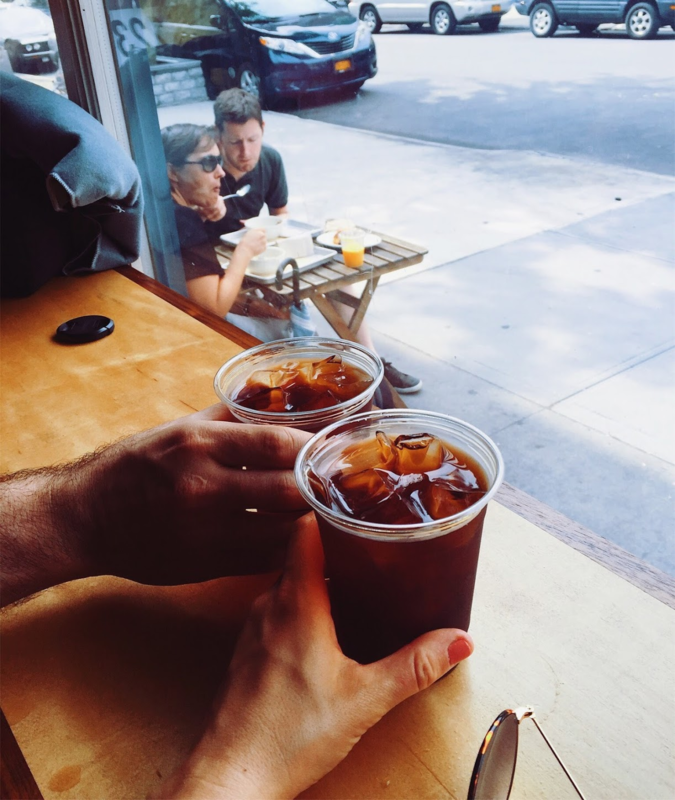 Becca, a member of Remote Year Kahlo, dishes on her favorite laptop-friendly cafes in New York. Are you looking for the best cafes in NYC? Places where you can work uninterrupted and with solid Wi-Fi? While I do love cafes that have signs reading “No Wi-Fi here - Talk amongst yourselves!” the fact is that sometimes you have some work to do. 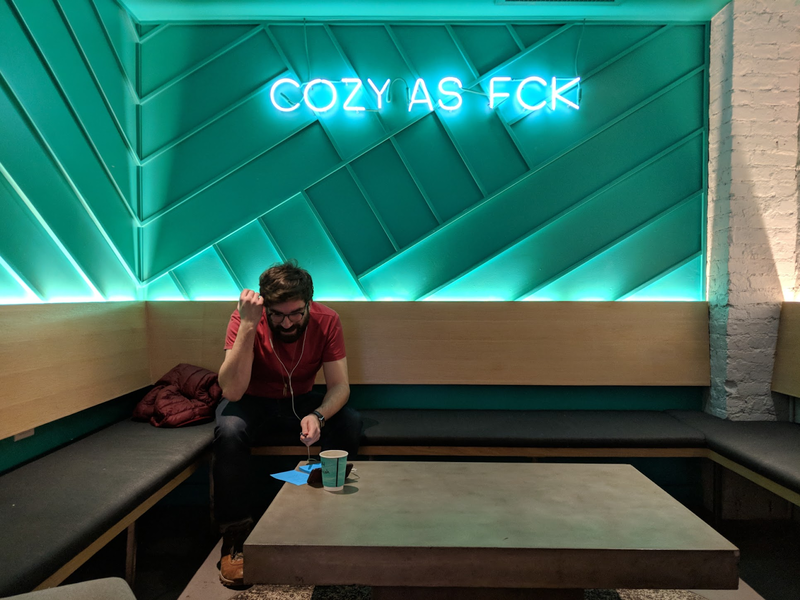 Here’s a definitive list of my favorite cafes where sitting down with a laptop is not frowned upon, and where you can have a tasty cup of joe and delicious food while you work hard (or hardly work). Freehold is like an expansion of a cafe or bar that can be treated during the day like a coworking space, and turned into a more lively locale at night. Enter on South 3rd and you’ll find a compact cafe, but turn left when you walk in to find levels of chic seating, outdoor space, a loft level out back and excellent service. 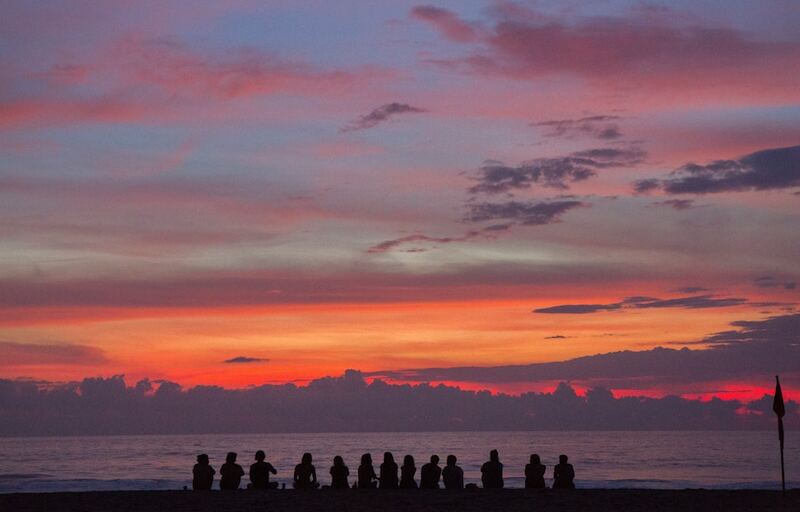 You might not want to leave, which is okay, because Freehold turns into a bar scene after dark. 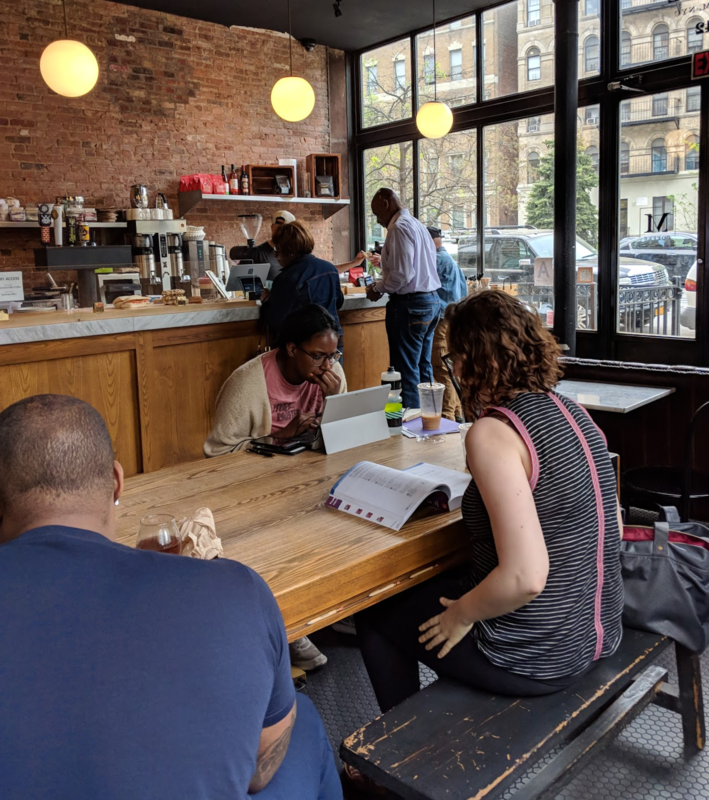 With four downtown locations all between NYU and the East Village, The Bean is a popular place to sit down with your work, if you can find a seat! 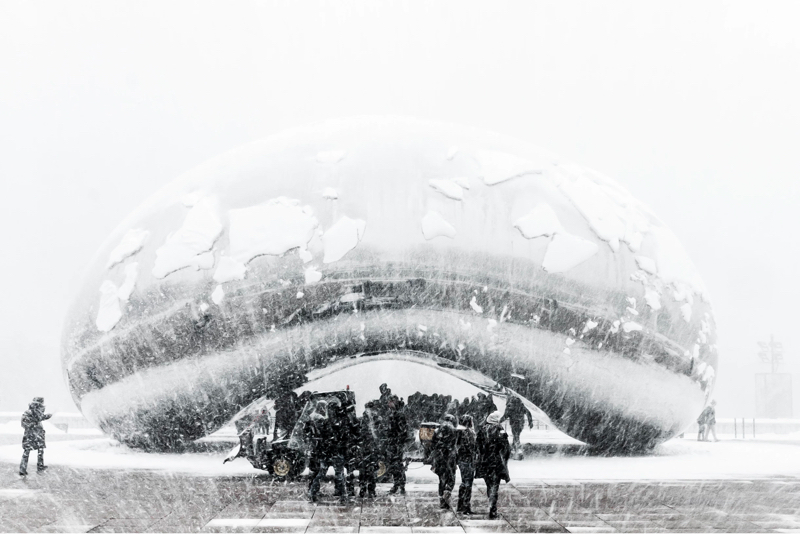 Come early to get a table to yourself, or stay late, because The Bean is open ‘til midnight, every day (how’s that for the City that Never Sleeps?)! Wi-Fi is free, and for snacking, they have an array of vegan treats in addition to some coffee specialties. In fact, the first time I heard ‘dirty chai’ was at The Bean on E. 12th & Broadway. What do you get when you combine the vines of Brooklyn Heights with Pineapple St.? Vineapple Cafe, of course! Come here with your laptop and be ready to drink some good coffee. The interior is cozy, with couches and low tables, and if you stop by between 4:00pm – 6:00pm you’ll find daily happy hour specials. This is a true neighborhood place, and worth crossing the river for. You won’t be alone if you come here with a laptop, and there are a bunch of spots to plug in your power cord. On the menu at Project Cozy are smoothies, coffee, tea and pastries, with a bunch of different places to sit (all have varying degrees of sunlight, from lots to none, depending on your preference). 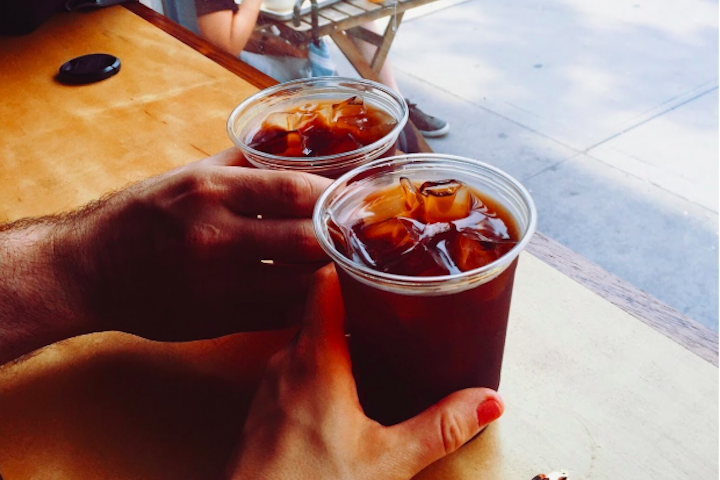 There are five Variety Coffee locations in Chelsea, the East Side, Bushwick, Greenpoint and Williamsburg, and all have clean, trendy design elements and pride themselves on unique coffee roasts. Wi-Fi is free and there are plenty of outlets. All are neighborhood favorites. This favorite neighborhood cafe for residents of Prospect Heights has Wi-Fi, plenty of outlets, meals from breakfast to dinner and even take-out. Happy hour is Monday to Thursday from 5 to 8pm, and the coffee menu is simple, but dependable. People come here to get work done during the week, as it turns into a popular brunch spot (and lively, too, with outdoor seating in warm months!) on weekends. Wandering through Park Slope? Kos Kaffe is an inviting spot for food and coffee or tea, and while it looks more like a place to sit down with a meal, laptops are ok here. Keep in mind that on weekends, there are certain hours when people using laptops can only sit at bar tables and the big communal tables. The menu is unique, and coffee comes in huge mugs. ‍If you are up in Harlem or out in Crown Heights, you can pick from either location of Manhattanville Coffee. Once, while taking a walk with friends, I met the two owners, who are both passionate for having intimate cafes with friendly staff. Their food caters to a whole host of allergies, if you have any eating restrictions, and the staff don’t hesitate to take out a binder that lists the allergens and ingredients of most available dishes. Oh, and the coffee is good (they brew Intelligentsia Coffee), the Wi-Fi is fast and there’s lots of natural light. 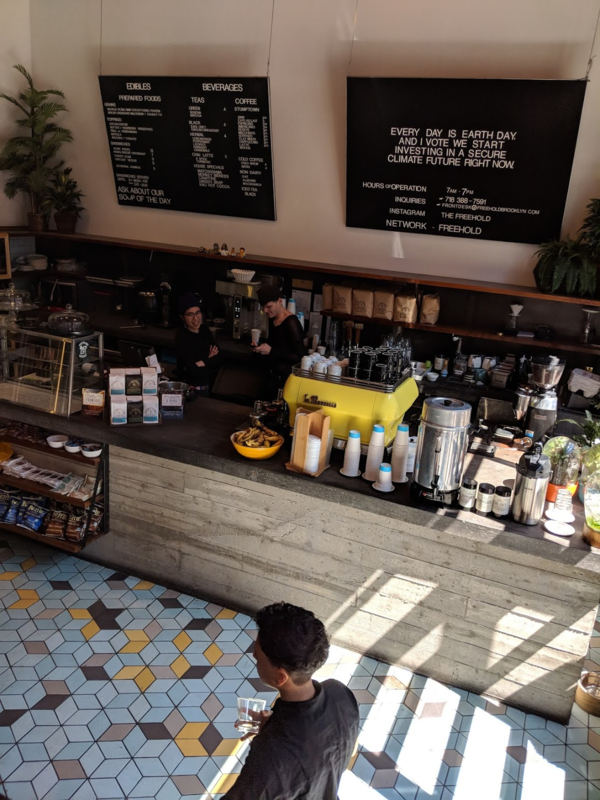 Head to Hungry Ghost’s ‘big’ location on Flatbush Ave between Park Slope and Prospect Heights for a spacious and aesthetically-pleasing space where you can prop up your laptop and settle down to get work done. Now with seven (!!!) 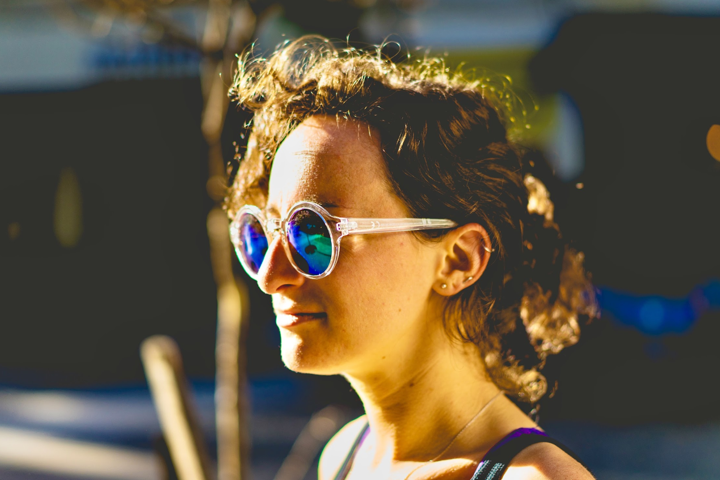 locations all over the city from Williamsburg to NYU Tisch, you can get ‘hungry’ in a few boroughs and count on their excellent espressos, healthy lunches and free Wi-Fi.